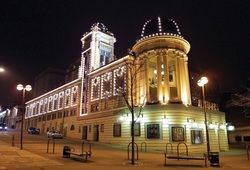 The Alhambra Theatre is crowned ‘Most Welcoming Theatre’ in Yorkshire & The Humber for second consecutive year! The winners of the regional and national UK Most Welcoming Theatre Awards 2018 have been announced today – and the Alhambra Theatre in Bradford has once again scooped the title for Yorkshire and The Humber. 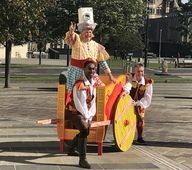 The stars of this year’s spectacular family pantomime Aladdin proved it’s never too early to prepare for a magic carpet ride to Old Peking by getting into the festive spirit and launching this year’s pantomime adventure, Aladdin, which opens at the Alhambra Theatre in Bradford on Saturday 8 December. 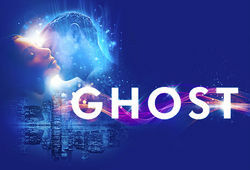 Based on the phenomenal Oscar® winning movie that captured the hearts and imaginations of a generation back in the 90s, GHOST THE MUSICAL is a timeless fantasy about the power of love and is coming to the Alhambra Theatre in Bradford as part of a brand new UK tour from Tuesday 30 April – Saturday 4 May 2019. 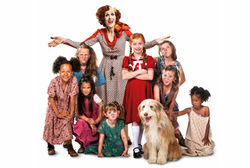 What Does It Take To Tour The Broadway and West End Musical MISS SAIGON? 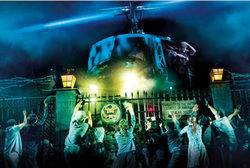 Cameron Mackintosh’s spectacular new production of Boublil and Schönberg’s legendary musical MISS SAIGON is currently touring the UK and Ireland and comes to the Alhambra Theatre in Bradford from 19 September to 20 October 2018. 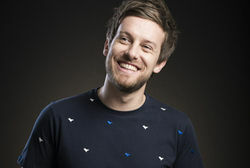 Critically acclaimed stand-up comedian and TV host Chris Ramsey will be bringing his brand new live show to King’s Hall, Ilkley on Friday 21 September as part of his nationwide The Just Happy To Get Out Of The House Tour. 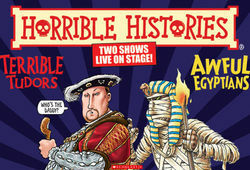 Those Terrible Tudors and Awful Egyptians are heading for the Alhambra Theatre!